Celebrate summer with corn’s delicious goodness and treat to be enjoyed at any meal. The versatile sweet corn can be used in everything from simple corn on the cob, corn cocktails, salads, corn bread, grits, salsa, polenta, soups, popcorn and even ice cream!. Here are 2 Indian inspired recipes. Enjoy the summer and share your recipes and ideas. In a mixing bowl, combine the mayonnaise, mint chutney chili powder,, lime zest, lime juice and salt. Cut the corn in half so you have 12 pieces, insert skewers into the ends of the corn being careful not to push the skewers through the other end. 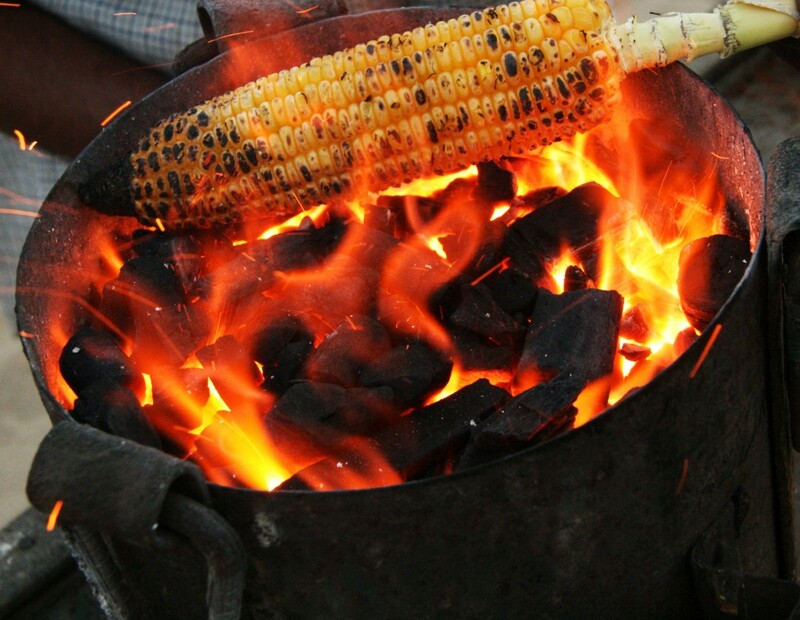 Place corn on the grill to warm and slightly roasted, 2 to 5 minutes. Once warm, brush the grilled corn with the chutney mixture and then roll in Parmesan cheese. Grill the corn until lightly roasted. Cool and shuck corn. In a shallow baking pan, stand each cob on its larger end, holding the tapered end with your other hand. Using a sharp knife, slice kernels off; transfer kernels to a bowl. Add beans, green onions, tomatoes ,red pepper and chilies. In a small bowl, combine lime juice, salt, chaat masala and pepper. Pour onto corn mixture, add cilantro and mix well. Adjust seasoning to taste before serving. This salad can be prepared up to 4 hours in advance, refrigerated, then brought to room temperature before serving.